How has sports betting evolved over the years? Sports betting is one of humanity’s most enduring pastimes. 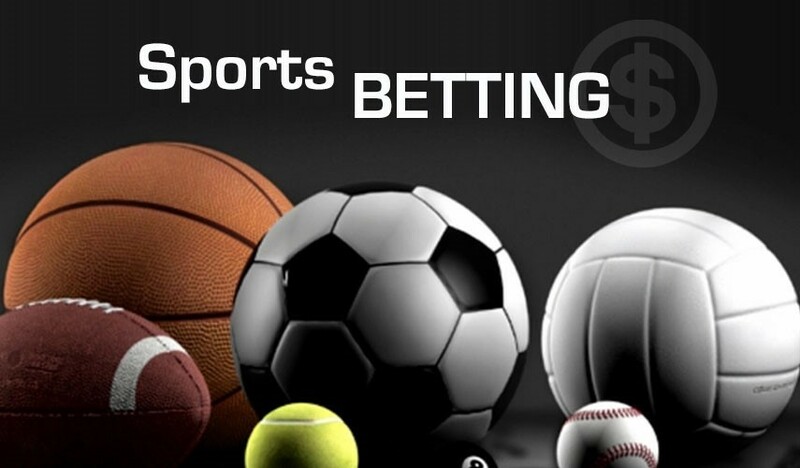 The activity has been enjoyed throughout the ages and technological advances have only helped make the act of betting on an organised sporting event simpler, more accessible, and diverse. Little is known of the gambling habits of our very early ancestors. It is not until the nineteenth century that the picture gets much clearer. However, there is scattered evidence to suggest that gambling on the outcome of events was enjoyed over much of the ancient world. Keno tiles from China, references to games of chance in the work of Greek poet Sophocles, and even a pair of dice in an Egyptian tomb dated from 3,000 bc all hint of a strong love of wagering on uncertainties amongst our ancestors. The first concrete evidence to suggest that our ancestors enjoyed betting on the outcome of actual sporting events comes from the Roman Empire though. Archaeologists believe that some of the first sports bets were made on chariot races. However, these bets must have been made in private since the activity was deemed illegal in all its forms throughout the much of the Empire. As mentioned, the history of sports betting is patchy at best. However, we do know that the many players of early basic dice games cared little for King John’s law, enacted in 1190, stating that only those awarded the rank of knight or above were permitted to gamble. This was reinforced a few centuries later by King Edward IV who not only tried to clampdown on betting itself but even the very tools people were using to do it. Dice and cards were outlawed by the monarch. This was followed by a second parliamentary measure two years later that banned playing cards being even brought into the country. Amusingly enough, King Edward himself provides the next solid evidence of gambling on sporting events. He actually invented a game where people would bet on the outcome of a hunt between a fox and a flock of geese. Despite such ironies, the stance of the elite was uniform throughout much of the medieval period. King Henry VII was one such monarch who proliferated the double standard during his reign. Despite his own penchant to bet on tennis, dice, chess, and other events, he made it illegal for the common man to partake. That said, gambling legislation rarely stops people betting today and it certainly was no more effective back then. Although difficult to find concrete evidence for, it is not an unfair leap to assume that blood sport events, a popular spectator sport throughout the middle ages, attracted a decent-sized, yet fully illegal betting market around them. Horse racing has long been a pastime enjoyed by humans. With horses being such an integral part of life for civilisations across the globe, it is difficult to imagine informal races not taking place all over the ancient world. However, it was particularly enjoyed by the British aristocracy during the seventeenth and eighteenth centuries and it was through these years that the sport would begin to resemble that of today. Betting evolved alongside horse racing with strangers backing animals to win a race between each other. This eventually led to the first bookmakers in nineteenth century Britain. Betting on horses evolved once again at the end of the nineteenth century. Two new systems were introduced to allow for the bookmakers to accept bets from a greater number of people without risking absolute wipeout should an outcome not favour them. The first was known as the totalizer – an analogue first, and later digital, calculator of sorts. The idea was that bets could be made on any outcome of a race and the actual odds sold to punters would be worked out at the start of the race, according to how much money was bet on which selection. The second innovation was called the “pari mutuel” system. This was developed in France by a man named Pierre Oler. He tweaked a previous form of race betting in which each selection was auctioned to the highest bidder. People didn’t much like this style of betting since it meant that only one person actually got to bet on the race. Oler’s system relied on tickets being sold for each selection and those backing the winner receiving a portion of all bets. This proved extremely popular in certain parts of the world, most notably France where it was the only legal form of betting for many years. Throughout the twentieth century a lot of the gambling innovation continued to come from the British Isles. Bookmakers remained more popular than the pari mutuel or totalizer systems and with gradually improving regulations throughout the century, companies such as William Hill and Ladbrokes were able to become absolute giants. They opened high street shops up and down the country complete with large screen TVs for punters to view events on and even fixed odds betting terminals offering games like roulette blackjack and other casino classics. As regulations slackened and gambling became more respectable in the public eye, more events began to be added to the selections offered by bookmakers in the UK. They continue to be added to this day too. Along with classics like soccer, rugby, and cricket, you can bet on mixed martial arts, handball, NBA, and a host of other more niche offerings. In fact, William Hill estimates it offers prices on a massive two million different matches, games, and tests each year! The internet had a huge impact on the sports betting industry. Bookmakers no longer required punters be in a set physical location. All their existing services – and many more – were available from within the customers’ own home. Bookmakers that had typically offered a fruit machine or fixed odds betting terminal on their premises could now also provide just about every game of chance imaginable with a fraction of the overheads of a well-stocked Vegas casino. Unfortunately, despite legislating in 2006 and founding the Gaming Commission, Ghana’s lawmakers have largely neglected the online sports betting market. This has meant that there is a-free-for-all of domestic and international operators offering to take bets from Ghanaians. However, when many of those serving the market lack regulatory approval from a licencing body, it can be difficult to know that your money is truly safe. An additional problem is that the offshore companies are required to pay no tax. This provides a missed opportunity for the government to capitalise on the growing popularity of sports betting in the nation. Hopefully, when the time comes to update the now seemingly archaic gambling laws in the nation, there will be a greater effort to include online gambling under the regulatory framework and the Ghanaian sports betting industry can be protected and thrive as it does in the likes of the UK today.